Dogs, Horses, and Me by Debbie Godkin is memoir about a woman in a wheelchair and the companions, both animal and human, that enhanced her life. 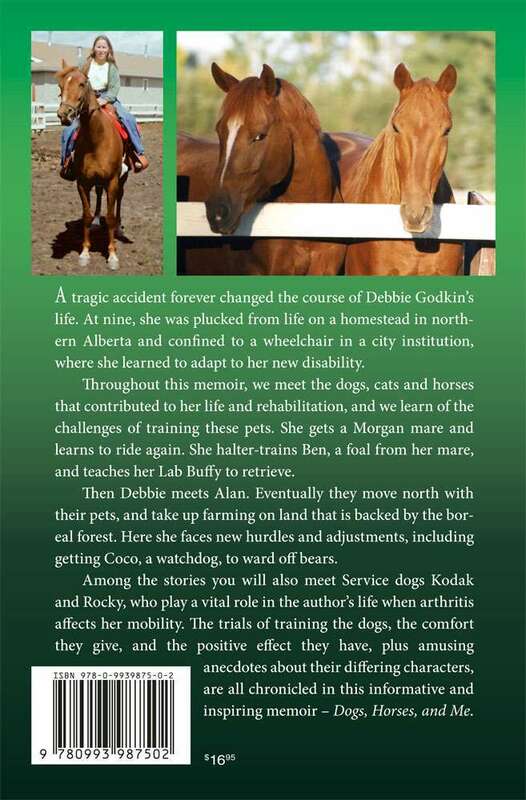 In Dogs, Horses, and Me author Debbie Godkin relays how a tragic accident forever changed the course of her life. At nine, she was plucked from life on a homestead in northern Alberta and confined to a wheelchair in a city institution, where she learned to adapt to her new disability. 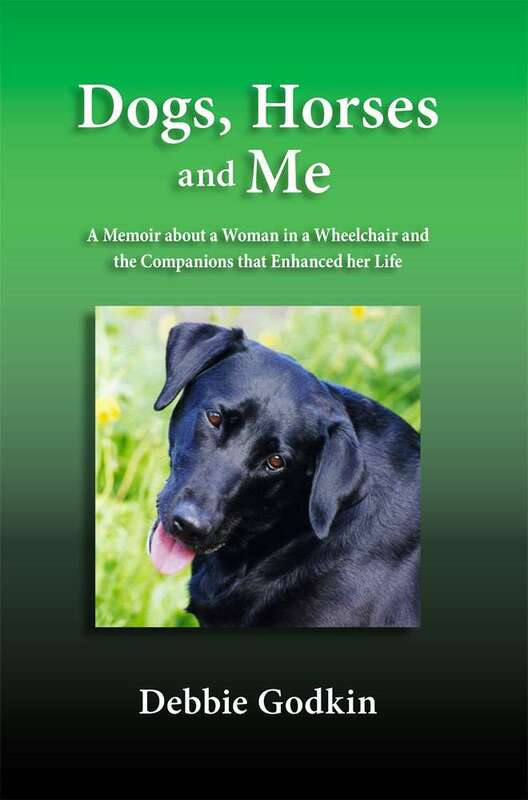 Throughout this memoir, we meet the dogs, cats and horses that contributed to her life and rehabilitation, and we learn of the challenges of training these pets. She gets a Morgan mare and learns to ride again. She halter-trains Ben, a foal from her mare, and teaches her Lab Buffy to retrieve. Then Debbie meets Alan. Eventually they move north with their pets, and take up farming on land that is backed by the boreal forest. Here she faces new hurdles and adjustments, including getting Coco, a watchdog, to ward off bears. Among the stories you will also meet Service dogs Kodak and Rocky, who play a vital role in the author’s life when arthritis affects her mobility. The trials of training the dogs, the comfort they give, and the positive effect they have, plus amusing anecdotes about their differing characters, are all chronicled in this informative and inspiring memoir – Dogs, Horses, and Me.